Often, when we talk about "cleaning tricks" we are really talking about taking shortcuts. But that's not what the list is about. Instead, I've gathered ideas, tips, and products that are effective and really enrich the customer’s experience. Gloves not only protect the skin from aggressive chemicals, but they also prevent all types of germs from spreading and growing, especially in linens! To keep germs at bay, be sure to wear gloves when you are facing a dirty job before moving on to make the beds. What is the first source of stress when it comes to cleaning your vacation rental? I bet it's dirty linens! The key is to have spare linens. It makes the change of guests faster because you will not have to wait for the wash cycle. Just make sure that the guests do not find the spare, because they will use it. When you are in the place, was as much linens as you can and take the rest home or leave it in laundry service. Use ice cubes to remove the wrinkles from the sheets. When sheets and blankets have wrinkles from being folded, put them in a dryer for 5 or 10 minutes with some ice cubes or a wet wipe. This will "steam" them to perfection, leaving them without wrinkles. Use a sponge to remove scratch marks on the walls. A sponge helps when you are removing the streaks or stains from the walls and all that is required is a little water and scrub a little. Thoroughly wash your coffee maker. Let's face it, the coffee maker is one of the most used appliances in your rental, but it is probably overlooked in terms of maintenance. Mix a part of vinegar with two parts of water and prepare with a filter as you usually do. Leave it at rest for 30 minutes and then scrub if necessary. Put the coffee maker to work again with clean water and that's it! Get rid of hard water spots using vinegar. 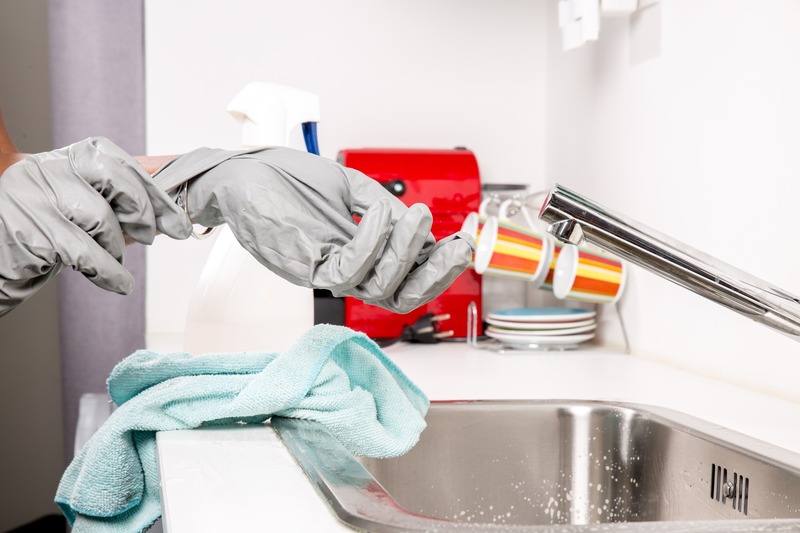 Hard water stains and calcium buildup are a nuisance in every home, but they are unacceptable in a vacation rental. To remove these stains from the head of your shower, tap, or other surfaces, soak a cloth with warm vinegar and wrap it around the surface. Let it act for one hour. Then brush the area with an old toothbrush. Take immediate action with the stains on the carpet. Keep a container of a spot cleaner on the carpet at hand, checked, to clean up any stains between guest changes! Use a cleaning solution that is relatively inexpensive and incredibly effective carpet cleaner. Steam clean the microwave with lemon juice. Squeeze the juice of a lemon in a bowl, and add half a cup of water. Activate the microwave with the bowl for three minutes. Then let it act for another five minutes before opening the microwave door. After that time, clean the inside with a sponge. SpaceCleaning is a collective of highly trained cleaning professionals who have Sydney’s most trusted reputation in the cleaning industry. Email us hello@spacecleaning.com.au at or Call us at 1800 954 378.